As soon as you shut the door and turn the inside lock your realize your keys are inside. Oh no, better look for that friend with a spare key or else you will be stuck calling a locksmith. 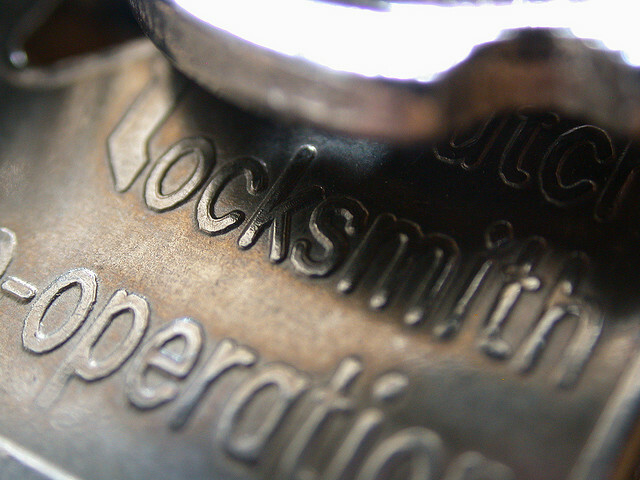 If you have ever had to call a locksmith you will know that it does not come cheap. The charges are anywhere from $50-$150 depending on the company, time of day, and type of door they are essentially breaking into on your behalf. Follow these tips to avoid being taken. The locksmith is not going to tell you that you can get particular discounts and pay them less money. It is your job to look around and find the best deal. If you are searching, go online and type in Dallas lock smiths and see what comes up. These companies are competitive and will give you a discount if you select them for a service. There may even be repeat business discounts if you are particularly forgetful. Many locksmiths have gone to homes to let someone in their house, only to determine the lock was installed improperly in the first place. They do not even have to use their tools in some instances because the deadbolt was not put into place and could be bumped out easily just by pushing the door. The locksmith usually doesn’t say anything, because they want your business. If your door is near a window or the door itself has a glass insert, ensure that you don’t have a thumb turn deadbolt lock on the inside. All it takes is a robber to break the glass and then they are inside. It is best to have a double-sided dead bolt lock that requires a key. Oh, and don’t leave the key in the lock, it kind of defeats the purpose. If you buy a new house, rekey your locks. Otherwise someone out there may have a spare key to your house and might choose to help themselves to your new home. Just because a key says “do not duplicate” does not mean that someone won’t still duplicate for a fee or that self-service kiosks won’t be able to perform the job. Consider a high quality lock with non-duplicable keys or a programmable lock without a key. Ethics come in to play here. The wife may call first and say she is locked out of the family home and wants everything rekeyed and then an hour later the husband will call. In this scenario, the company should send the husband to a competitor, because they just changed all of the locks. This is also true for the elderly that have Alzheimer’s and think they have lost their keys and want all locks rekeyed. At some point, a family member should be notified or the elderly will be taken advantage of by several other locksmiths. Most welfare checks include a dead body. Many times the homeowner forgets to try and open the door, because they don’t have any keys and when the locksmith gets there, the door is unlocked. But remember, you are still charged the fee. Kind of like a valet key. The housekeeper key only unlocks the bottom lock and not the deadbolt, but the master key can open both. Many locksmiths will come and say you have a special lock that can’t be picked, so they need to drill it out and then replace it with a new lock. They will charge over $100 for a $25 lock from hardware store.